Manga Monday was turned into a meme by the awesome Alison Can Read! *I warn you now there may be spoilers…It’s hard with manga. 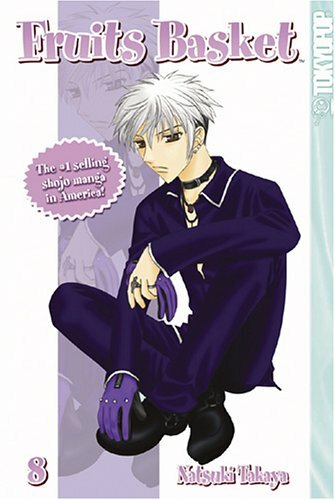 In this volume we meet Hiro Sohma and to be honest I did not like his character at all. Hiro was a total brat! He ordered Tohru around like a servant and he is just a kid. Yes, his actions are somewhat explained but the give and take between he and Tohru just makes Tohru seem like even more of a door mat and it got very annoying. The silver lining in volume 7 is getting to learn Arisa’s back story of how she came to be such good friends with Tohru and her mom. It was nice to see what Arisa was like back in her Yankee days, why she got into the gang in the first place, and how hard it was for Arisa to get out. I had always liked Arisa but after this volume I totally love her. 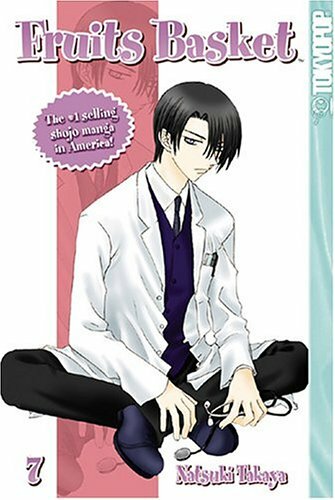 A new Sohma is introduced in this volume. Ritsu Sohma, who is well, a total spaz. Ritsu freaks out at the drop of the hat if he thinks that he has offended anyone. You would think that I would hate his character, but I didn’t. Yes, the continual apologizing got a little old but after I got to know Ritsu’s character and Why he has always been so stressed out…I liked Ritsu. I am very excited to continue this series and hope to get a few more volumes soon. I have the feeling that Yuki and Kyo will be stepping up their game for Tohru soon. I really think I should pick up on this series. I like the art, it's just that it's so long that it tires me to think of getting started! *laughs* But everytime I read your reviews, I think I'm a bit more convinced. Love Fruits Basket! You'll get to know Hiro much better. He just gets worse. And I love seeing Kyo and Yuki vie for Tohru. Wow. Put Great review twice -__- #facepalm THAT'S IT! I NEED SLEEP! I've never read this series. Seen a couple of the Anime Episodes though and it was pretty good.